One of the many important choices we need to make when arranging a funeral is the selection of pallbearers. 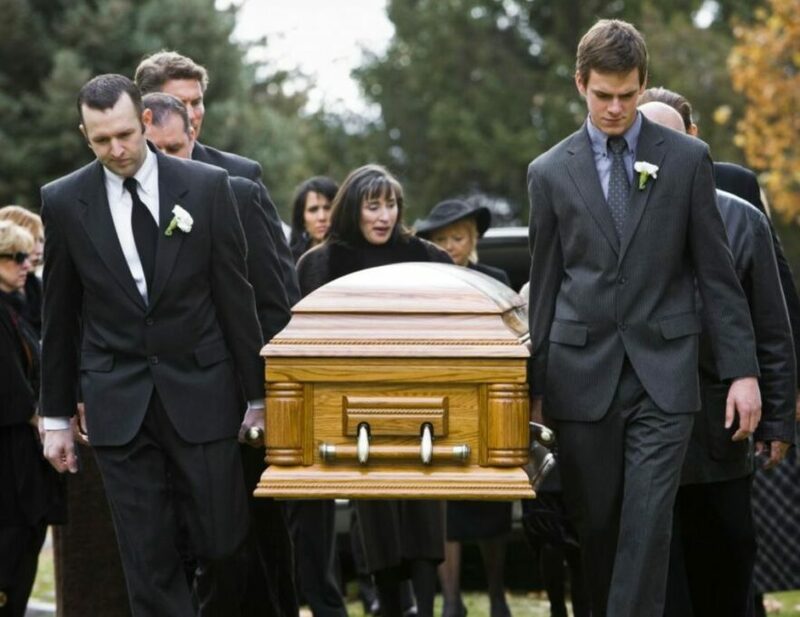 A pallbearer is someone who is selected by a close family member of the deceased to help carry the coffin to the place of service or burial site at a funeral. There are typically six to eight pallbearers, depending on the size and weight of the coffin. It’s never easy being the person having to make decisions for a funeral after someone you love passes away. It’s important to surround yourself with people who care about you and can help you with whatever need arises. This includes selecting the best pallbearers. Some people feel that it isn’t proper to ask a family member to be a pallbearer. If you feel this way, choose very close friends you trust. The current thought on the choosing of pallbearers is that this is acceptable, but not necessary. Other people you may want to consider are business associates of the deceased, members of associations, or neighbours. Remember that the purpose of a pallbearer is to carry the coffin from one location to another. This can be from the hearse to the church or funeral home chapel and to the gravesite. Coffins can be quite heavy, so make sure all of the pallbearers are capable of lifting. The may have to walk over uneven ground, so female pallbearers should wear comfortable shoes and clothing that enables ease of movement. Most coffins have six or eight handles, depending on the size. You’ll need to select one pallbearer per handle. Men or women may be pallbearers. When selecting them, make sure they can keep their emotions in check. A sudden emotional outburst is disrupting and can make a sad situation even worse. Choose carefully. Most of the time, pallbearers are special to the family. They may be very close friends or family members, but you probably don’t want to pick someone who has trouble holding back his or her grief. This includes grandchildren who are old enough for the responsibility, cousins, nieces, nephews, and members of an organization that was dear to the person’s heart. Consider naming an honorary pallbearer. If someone isn’t capable of helping carry the coffin, give him the special honour and allow him her to walk or ride his wheelchair beside the coffin. Send thank you notes to all of the pallbearers after the funeral. Consider it an honour to be asked to carry the coffin of a loved one or friend. The fact that the person closest to the deceased trusts you with carrying his or her loved one to the final resting place means you were an important part of the deceased person’s life. As difficult as it may be, accept the honour and responsibility that has been given to you. First, understand what an honour this is. Handle it with respect and dignity. Arrive at the funeral on time or early if requested. Dress conservatively – a dark suit with a tie for a man and a dark dress or suit for a woman. Listen to instructions and special requests from the funeral director and staff. Do what they ask. There is typically a special place for the pallbearers to sit during the funeral. Unless you have a valid reason for doing otherwise, stay with the rest of the group. Be supportive of family members and stay after the funeral to talk with them. This is the time to let them know what the deceased meant to you.